The United States Fire Administration says that the leading cause of home fires is still smoking inside. If someone does smoke in your house, then should make the rule to do it outside from here on out. Lighting candles around your house is a nice way to add fragrance and perhaps a touch of romance. But you need to be careful with these candles with regard to placement and putting them out. Don’t leave a room with a candle burning. If you live in a two-story home, then a fire ladder is a smart investment. This is something that can be rolled up and tucked under a bed. It can quickly be hung by a windowsill and provide access for anyone in your family. Fire extinguishers are regulated to be in every commercial building and school. Doesn’t make sense to have a fire extinguisher in your own home? The important thing to remember with a fire extinguisher is that they do expire. Just keep up on the dates and hopefully you never have to use it. Next to smoking, space heaters cause the most fires. Many of the new space heaters have built-in safety precautions. But if you’re keeping a room warm with an older space heater, then you need to be aware of how dangerous it could be. It might make smarter sense to invest in one of the new space heaters so that you can sleep safely at night. There’s nothing wrong with multitasking unless you are cooking. Having a stove going full tilt with simmering pans of grease is not the time to wander off and do laundry or text to friends. Just like never leaving a room with candles, burning you should never leave the kitchen with the oven going. 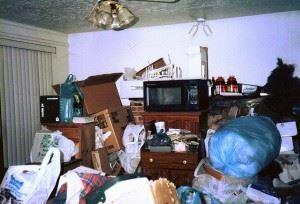 A home that is full is rubbish creates fire hazards in many ways. First, that rubbish could be flammable. If it’s stored near a faulty outlet, then it could mean trouble. In the event of a fire, you want a clear access to your doors or windows. If there blocked by clutter and rubbish, then he could be creating a very troubling situation. But one call to Junk King Detroit gets rid of all that rubbish. That includes the big stuff like sofas, recliners, dressers or other heavy furniture. The Junk King Detroit crew will do all the lifting and loading for you so your back will never be put at risk. Add a junk removal session from Junk King Detroit to your fire safety prevention list. You’ll be glad you did. This entry was posted in Detroit Junk Removal and tagged fire safety, junk king, junk removal on June 30, 2017 by Junk King. Last updated July 1, 2017 .